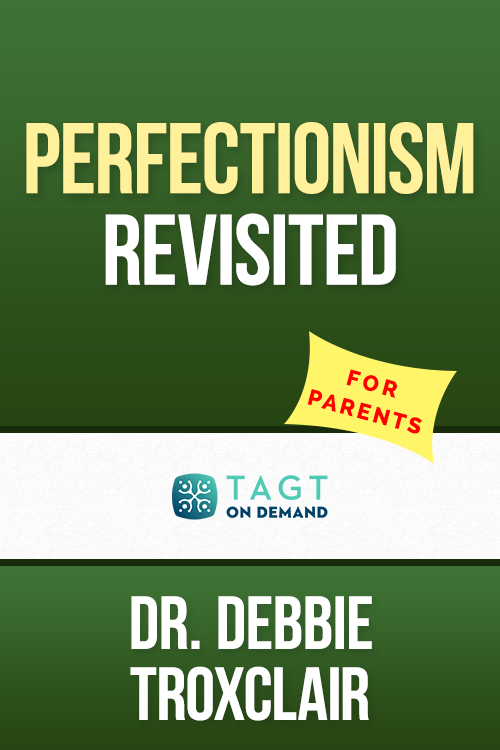 “Perfectionism Revisited (for parents)”, with Debra Troxclair, Ph.D., will provide you with a plethora of information, including in-depth resources, references, and publications. Dr. Troxclair received her doctoral degree in Special Education (Emphasis in Gifted Education) from the University of Southern Mississippi and has over 20 years of teaching experience in both elementary and university classroom settings. She is a member of several professional associations focusing on giftedness. Dr. Troxclair is currently serving on the Professional Standards Committee, the University Networking Committee of the National Association for Gifted Children, the Research Division of the Texas Association for the Gifted & Talented, and the Special Interest Group for Creative and Gifted Readers of the International Reading Association.